More zucchini, this time for lunch. I’ve made these savory pancakes a couple of times before and each time have told myself that I need to make them more often. 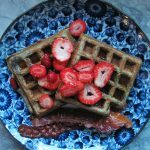 This recipe is adapted from Ina Garten’s, ‘Barefoot Contessa at Home’ cookbook. Combine the zucchini and onion, then add the eggs. Stir in the flour (or almond flour), salt, pepper and baking powder – if the batter is too thin, add more flour, depending on the thickness of the batter that you prefer. I truly rarely measure all of the ingredients anymore…you’re aiming for pancake batter, and you can’t really wreck these! Heat up your skillet, add a bit of butter and oil and cook the pancakes, about 2 minutes a side if they’re small. We like them small, and this recipe makes about 12. Keep the cooked pancakes warm in the oven until all of them are cooked. These are very good with a bit of sour cream. 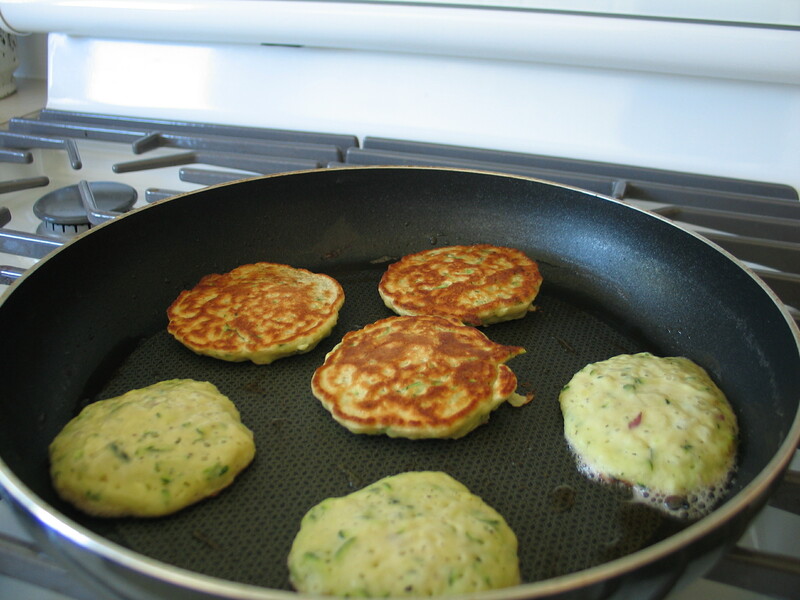 It’s Saturday Jan 24,2015,7:00pm,in Hawaii,just made the zucchini patties,delicious,and easy.Thanks,this is a keeper,and I’ve added it to my recipie book,as a side dish,when we barbeque.